One girlfriend, Julie, decided to take drastic action and has come up with a brilliant idea that involves getting a group of friends together to stage our own ‘BIGGEST LOSER’ competition. 3. The challenge goes for 8 weeks and the winner is the one who loses the most percentage weight i.e. 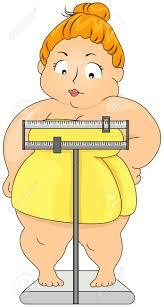 if you weigh in at 100 kilos and you end up 90 kilos then you have lost 10% body weight. 4. We will have a 6-week makeover day where we pamper ourselves using the money from saving on food and alcohol. The last $300 will go towards French champagne and an end of competition break-up party. After weigh-in today, I’ve lost a kilo in the last week but am coming in at third last on the bottom of a list of eight. Wanting some extra help, I’ve turned to my wonderful personal trainer, Alinta Willet, for some more tips – especially about what to EAT. About half an hour later, Alinta advises sticking to a protein-based breakfast and staying away from any carbs till late afternoon after a work-out, but she DOES allow some carbs for dinner. This is a bit of a reverse-theory from what I’ve usually worked with but after trying this for some time last year, it did seem to work and now I just have to get back on the program. JEN: So why it is important to eat a high protein breakfast? ALINTA: Starting your day with a protein rich breakfast will keep you fuller for longer. It will elevate the neurotransmitters – dopamine and acetylcholine – which will increase brain function throughout the day and motivate you to train. High GI carb breakfasts produce an initial spike in blood sugar levels followed by a rapid decline, leading to hunger and carb cravings. JEN: Is that good for everyone? ALINTA: It depends on the individual and what you’re hoping to achieve. But if you’re wanting to lose weight, then this will be more effective. JEN: I love this lemon-water idea you put me on to. Tell me more about that. ALINTA: Yes, it’s great. You start the day with half a lemon in warm water, which helps you rehydrate after being asleep for so long which helps with the cells in your body and for brain function. It also helps with metabolism and alkalises your body to help clear out the toxins. JEN: How many times should I be working out? ALINTA: Ideally four to five sessions a week is good. JEN: Long workouts or are short hard and fast ones better? ALINTA: I think for women keeping the workouts under 45 minutes is good because after that amount of time, your cortosol elves start to rise and your testosterone drops which puts you under more stress. More cortisol in your system helps the body to store fat, which isn’t good. Stress is one of the reasons why we can end up storing fat around the stomach. Now that’s good news! Too much time in the gym can actually be counter-productive? Excellent! 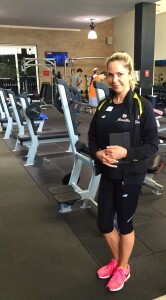 This entry was posted in Opinion and tagged Alinta Willet, Biggest loser challenge, Body fat, Exercise, Frittata, Gym workouts, Lamb Frittata, Lemon and water, Losing fat, Losing weight, Losing weight competition, Personal trainer, Protein breakfast, Working out by JenniferHansen. Bookmark the permalink. Ooh I’d love to do this. Will you be doing another one Jen? That’s a lot of amazing tips, thank you both. I can start having the lemon water, sounds like a brilliant way to hydrate in the morning.